Born together Friends Forever. 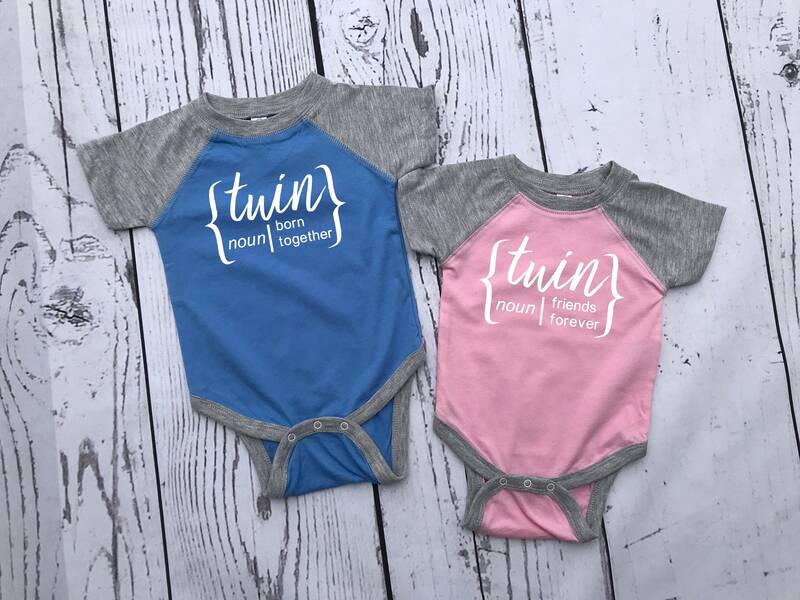 Twins one-piece set. 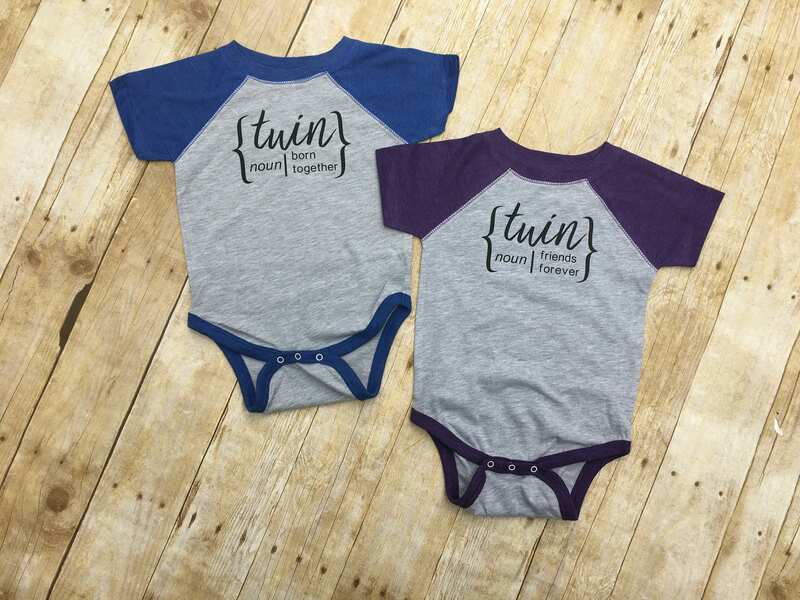 Twin baseball one-piece set. 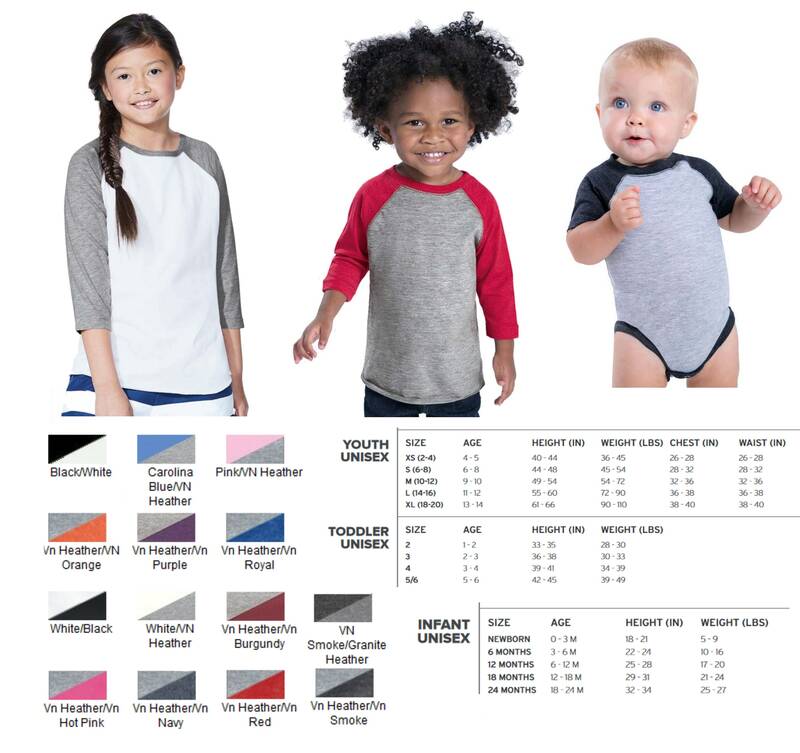 Raglan bodysuits. newborn twins outfit. Twins outfit. 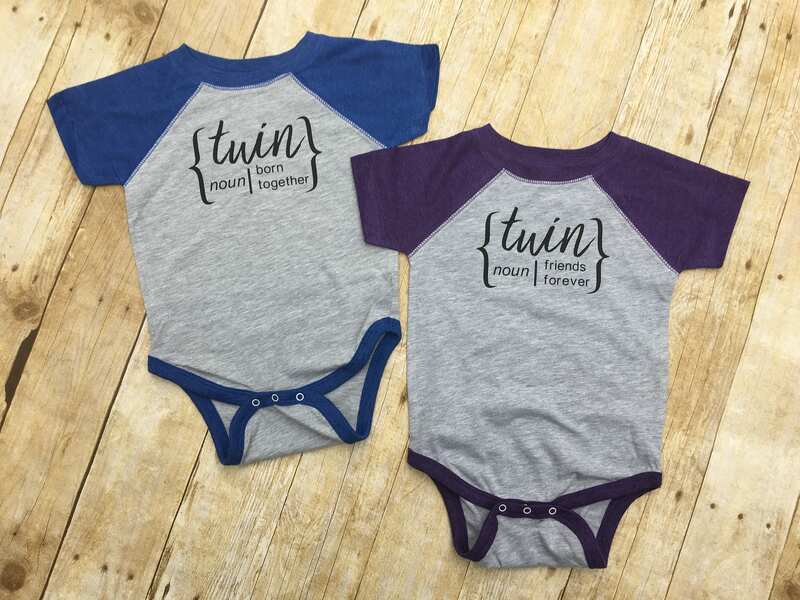 This adorable set of shirts features the definition of a twin: Born together, friends forever. 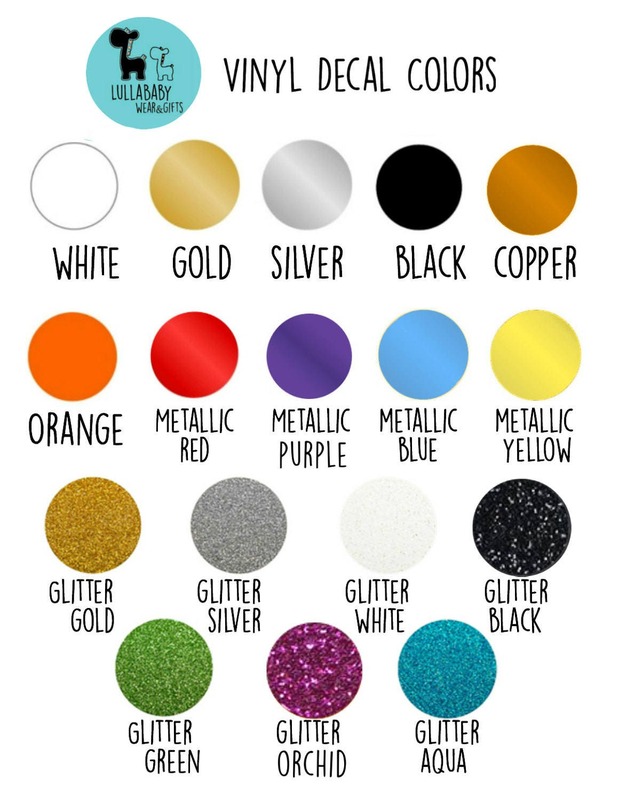 Choose a set of shirts in any combo of colors. If you need two different sizes please let me know in the notes to seller at checkout! Great looking product! We are very happy with the delivery time especially for a custom product. Our twins look so cute with these on!